Andover, Mass., U.S.A. – Royal Philips (NYSE: PHG, AEX: PHIA) today announced that CX50 xMATRIX, the world’s first portable ultrasound with Philips&apos; industry leading Live 3D TEE, now offers 2-D Intracardiac Echo (ICE) capability. The CX50 xMATRIX with available Live 3D TEE and ICE will be shown in Paris at the EuroPCR, official meeting for the European Association of Percutaneous Cardiovascular Inventions (EAPCI), May 21-24. Since its launch in 2012, Philips CX50 xMATRIX has been the only ultrasound system with the flexibility of a portable system together with Live 3D TEE capability. Now, Philips has partnered with St. Jude Medical (NYSE:STJ), a global medical device company based in St. Paul, Minn., to integrate the CX50 xMATRIX with the St. Jude Medical ViewFlex™ Xtra Intracardiac Echocardiography (ICE) Catheter. The ViewFlex Xtra ICE catheter is a new, 2-D catheter featuring four-way steering and the unique benefit of single-handed control. With the increase in minimally invasive structural heart disease (SHD) repairs and electrophyiosology (EP) procedures comes an increase in the need for ICE for visualization of intracardiac anatomy from the right atrium. ICE is commonly used in procedures such as left atrial ablation and closure of Patent Foramen Ovale (PFO) and Atrial Septal Defects (ASD). With Live 3D TEE and ICE both available on the CX50 xMATRIX, interventional teams can visualize these and other repairs that may benefit from Live 3D TEE such as Transcatheter Aortic Valve Implantation (TAVI), multi-fenestrated and irregular ASD closures, and other complex SHD repairs. The CX50 xMATRIX is an all-in-one imaging solution for cardiac catheterization labs, EP labs and hybrid operating rooms. With both ICE and Live 3D TEE available on a single system, hospitals will not need to rely on scheduling two separate ultrasound systems for various procedures. 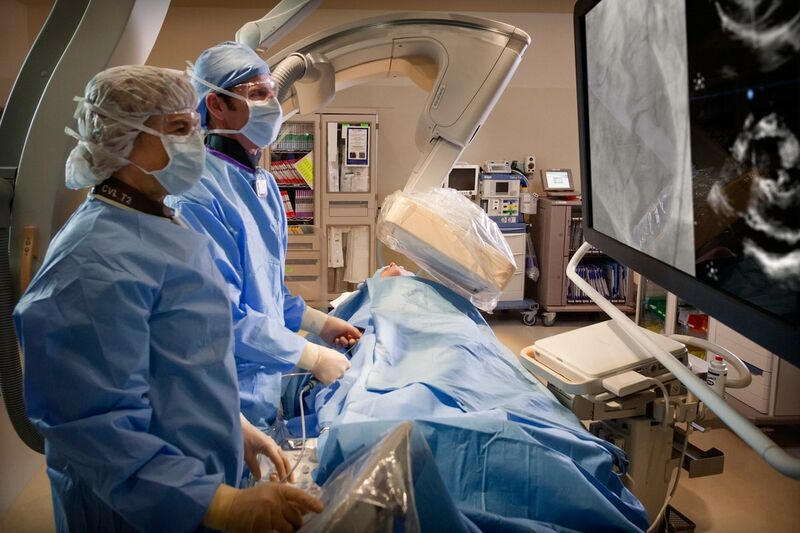 The CX50 xMATRIX also offers interventional workflow features such as Philips Allura tableside control, automatic patient data exchange, and support for Philips&apos; EchoNavigator – which intelligently combines fluoroscopy and echocardiography. "Our cardiology customers have clearly told us that one of the most exciting opportunities for patient care involves minimally invasive repairs, and that performing a wide range of procedures requires exceptional ultrasound imaging – not only Philips Live 3D TEE but also world-class ICE," said Conrad Smits, CEO Ultrasound, for Philips Healthcare. "Working with another industry leader, St. Jude Medical, we have created a partnership that delivers a premium compact integrated solution to exceed the clinical and business needs of our cardiology customers." For more information, please visit www.philips.com/CX50xMATRIX or stop by the Philips Healthcare Booth M41 level 2 to learn more or speak with a Philips representative.